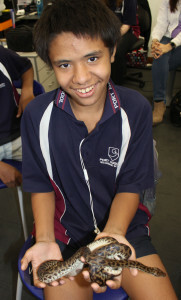 YES Centre students have been learning a lot about animals this term with excursions and visits to the school by animal groups. As part of the Animal Studies program in YES, Animals Anonymous visited the YES Centre on March 14 with a variety of animals and reptiles for a hands-on experience. The session covered animal handling, conservation and biodiversity. 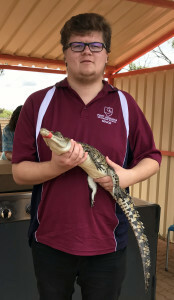 Year 12 Community Studies (Animal Studies) students and staff in YES took part in an excursion to Whyalla on March 5 to visit the Eyre Reptile and Wildlife Park on Tuesday. Whilst there they took part in practical activities including catching and handling a variety of animals of varying sizes; cleaning cages and animal enclosures; and helping with animal grooming and maintenance. Animals Studies students have also been visited by some kittens and dogs as it is a requirement of their course to catch and handle eight animals and write a journal about the experience. 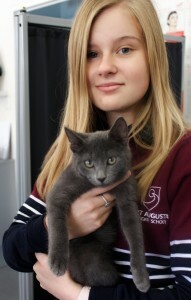 This exercise enables students to learn how to approach animals, and the correct handling and restraining techniques.